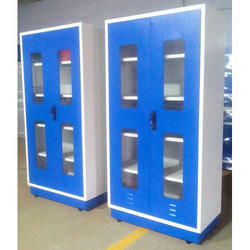 Offering you a complete choice of products which include chemical storage cupboard, hazardous chemical storage cupboard, glassword storage cupboard, vertical chemical storage cupboard, wall mounted cupboard and wall mounted storage cupboard. 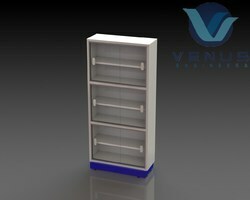 Pioneers in the industry, we are engaged in offering Chemical Storage Cupboard. Our clients widely use these cupboards for storing the valuable documents in an efficient manner. With the valuable assistance of skilled team of professionals, we are engaged in offering an extensive range of high-quality Hazardous Chemical Storage Cupboard. With the valuable assistance of skilled team of professionals, we are engaged in offering an extensive range of high-quality Glassword Storage Cupboard. With the valuable assistance of skilled team of professionals, we are engaged in offering an extensive range of high-quality Vertical Chemical Storage Cupboard. With the valuable assistance of skilled team of professionals, we are engaged in offering an extensive range of high-quality Wall Mounted Cupboard. 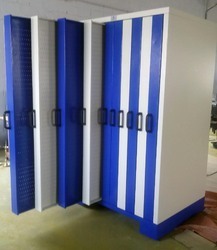 We are the Leading Manufacturer and Exporter of Wall Mounted Storage Cupboard in Coimbatore, India.